At each tour stop, women get to try on the jeans, find their “perfect fit,” and get glammed up and photographed. You know that glorious sensation that occurs every now and again when you slip into a pair of jeans and they feel so right? 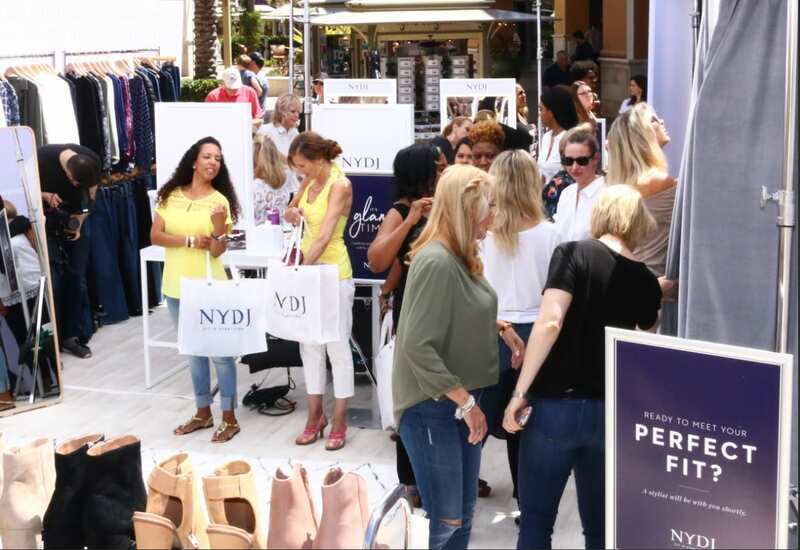 That’s the experience “slimming” denim brand NYDJ is hoping to bring to women on its National Fit Tour, which launched on April 15 at Fashion Valley Mall in San Diego. The tour traveled to Mall of America in Minneapolis on Apr. 22, and will stop at Roosevelt Field Mall in Garden City, NY, on Apr. 29. At each stop, women will get to try on the jeans, find their “perfect fit,” and then get a little glammed up and photographed for the opportunity to appear in NYDJ’s fall 2017 “Fit is Everything” ad campaign. Social media efforts take the events beyond the mall. The San Diego event featured a Facebook Live on-site broadcast with O, The Oprah Magazine creative director Adam Glassman, who appeared as the NYDJ host. The idea for the National Fit Tour was born from a casting call for NYDJ’s spring campaign. Women who had never worn the jeans were invited to a photo studio in New York City and their reactions filmed as they slipped them on. A handful of the women moved on to the photo shoot for the actual ad campaign. “We got such an incredible reaction from it that we wanted to take the idea on the road,” says Kate Foster, cmo at NYDJ. The National Fit Tour essentially replicates that photo shoot concept in each of the three cities where attendees receive a style treatment from celebrity stylist Inge Fonteyne. Fashion photographer Dewey Nicks, who shot the ad campaign, takes the photos. Through a partnership with Clothes4Souls, which collects new and used clothing for people in need, NYDJ will donate a new item of clothing for each pair of its jeans tried on throughout 2017 at designated promotional events, including the National Fit Tour. “The tour helps support our ad campaign and our message that fit is everything,” Foster says. “Fit is the No. 1 reason why women buy jeans and that is what we excel in, so it gives her the opportunity to experience that revolutionary fit and do it in a way that celebrates her individuality together within a community, so it is an exciting opportunity for us all.” Agency: TH Productions, New York City.